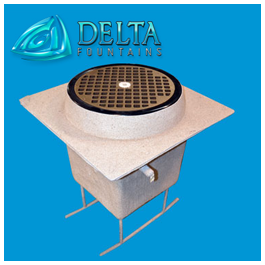 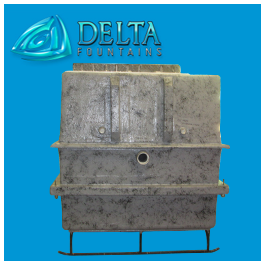 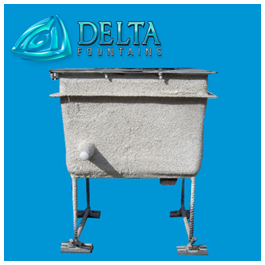 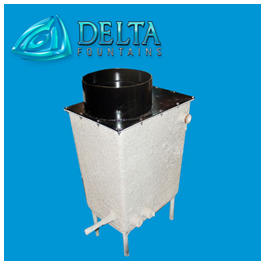 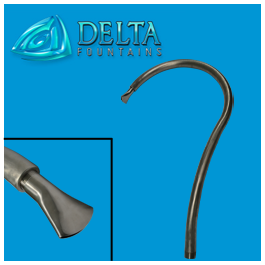 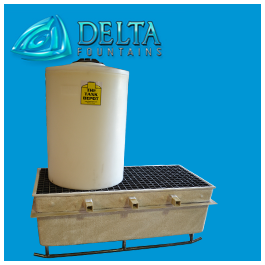 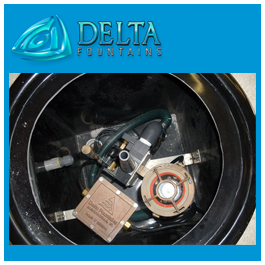 Delta Fountains’ Custom Nozzle Well is heavy duty fiberglass constructed. 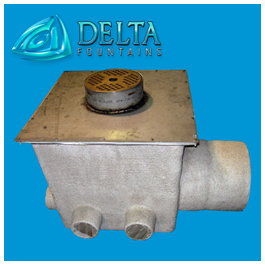 The Nozzle Well can be made to accommodate various sizes, shapes, lighting, and nozzle displays. 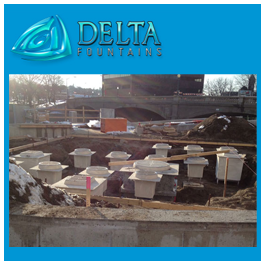 These Wells are the basics of any splash pad or interactive fountain. 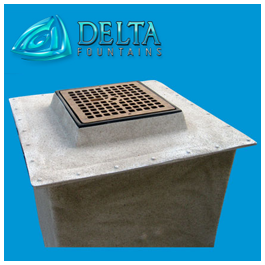 They sit below concrete, while the grate top sits flush with the fountain’s dry-deck. 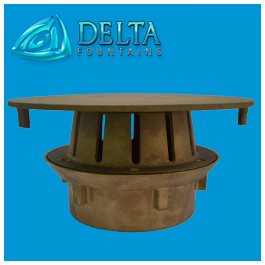 Each Well houses a Nozzle Well Assembly, which produces a controlled, single stream of water that is programmed to “pop” up or down up to 10 times a second. 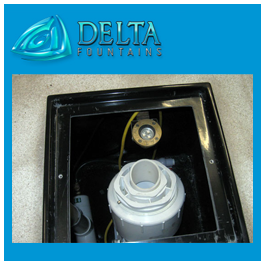 Custom Linear Nozzle Wells are another option to use in order to hold multiple nozzles and lights. 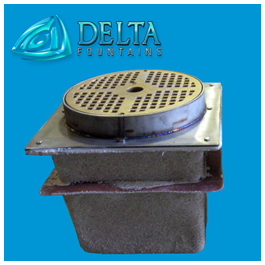 Popular assemblies that use Custom Nozzle Wells are the Pop Jet Assembly with Smooth Bore Nozzle, the Pop Jet Assembly with Foam Jet Nozzle, and the Pod Jet Assembly. 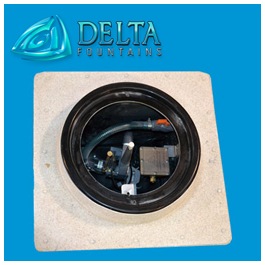 These assemblies are water level independent and provides for little sound level, wind resistance, and splash. 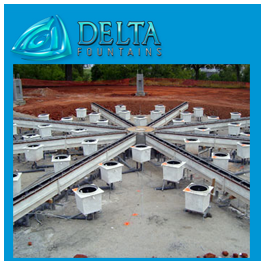 Each assembly can be individually animated to follow a specific water show display and height.